The 57th Member of the Soccer Fitness 20 MPH Club, Megan successfully performed 2 separate, 4-second running bouts at a top speed of exactly 20 miles per hour on Saturday, December 10th, 2011. 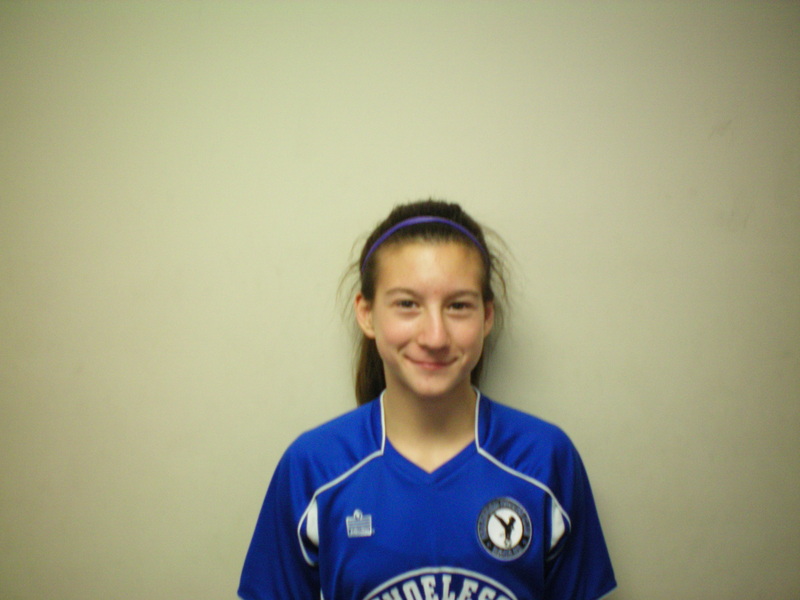 A defender and midfielder with the Bradford Eagles 1998 Girls team which qualified for the OYSL for the 2012 outdoor season, Megan has been training with Soccer Fitness since April of this year. We at Soccer Fitness would like to congratulate Megan on her accomplishment, and are looking forward to continuing to work with her throughout her soccer career.